Over the past few months hardware enthusiasts all over the world have been periodically nipping onto etailer websites to see how many family members they would have to sell to be able to afford a new Core i7 rig. 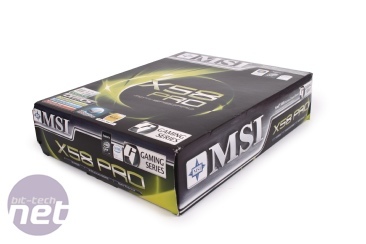 With the release of MSI's X58 Pro - which is a good £40 cheaper than most other models on the market - the platform is creeping closer and closer towards the realms of being affordable. You can now nab a ludicrously overclockable Core i7-920 and MSI X58 Pro motherboard combo for £400, meaning the cost of mobo and CPU has dropped around £100 since launch. The catch is that this board doesn't support SLI, only CrossFire. 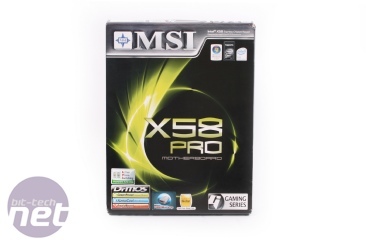 This X58 could be accurately viewed as a lesser sibling of MSI's Eclipse SLI. Being a cheaper motherboard, we weren't surprised to find a less in the way of cables and other bundled extras in the box. However, the essentials are still present such as an EIDE cable and plenty of SATA cables. Just one CrossFire bridge is bundled instead of three and - unlike the Eclipse - there's no Floppy cable but we never consider this a loss, especially as neither board features one. There are four SATA cables, which are plenty but not an entire set for the six available, but there are still a couple of Molex to SATA power adapters for those using older power supplies. If you're a member of the RTFM fan club, you'll be pleased to hear that the manual is both comprehensive and genuinely useful for the less experienced hardware enthusiast. 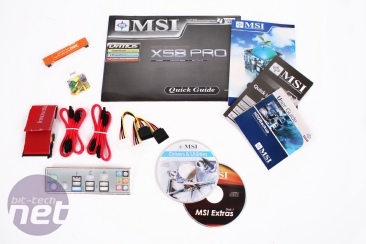 Instructions are provided on hardware set up, drivers, sound software, and overclocking software installation and use. However, we'd recommend avoiding the software overclocking tool in favour of getting your hands dirty in the BIOS. 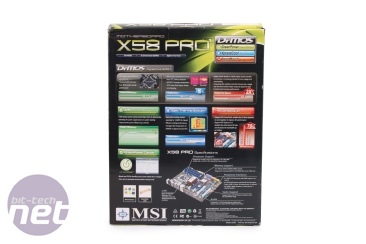 Not to be outdone by DFI and Asus, MSI has also got a mATX X58 in the works - click for a picture inside! Is it a cupcake? Is it a speaker? No! It's a heatsink! Armed with its novelty wares the Foxconn Renaissance is branded with the slogan for 'Digital Life', affording 'high performance computing, connectivity and digital entertainment'. Is that ambiguous marketing or part of a bigger idea?